We all know that North Carolina is the best state around…but I bet there are some things you did not know about our wonderful state! First of all, North Carolina is the one and only state in the nation with its very own toast. Now that deserves, well, a toast! Originally written as a poem in 1904 and adopted by the General Assembly in 1957 as our state toast; it is both patriotic and descriptive of our love for our fine state! I’ll drink to that! Although we were quick to adopt a toast, NC was the last of the original 13 states to have a state motto. But, in 1893, the Latin words “Esse Quam Videri” became our state’s official motto. Translated to English it means, “To be rather than to seem” and nothing is lost in translation there! In a state full of genuine, hard working people with Southern values, there couldn’t be a more fitting motto. Many people are aware that North Carolina’s state bird is the beautiful red feathered cardinal and it has been since 1943. What many don’t know is this fun fact; for a brief period, our state bird was actually the Chickadee! But the Chickadee only held that title for 3 days because of its unfortunate nickname, the Tomtit! Legislators were afraid North Carolina would become known as the “Tomtit State”…slightly less dignified than the “Tar heel State”. Front Street Brewery, Downtown Wilmington - The OG, as many might call it, Front Street brewery has been in a staple in Wilmington for many years. Their classic brews include a Coastal Kolsch, Dram Tree Scottish Ale, Port City IPA and everyone loves Tiny Tim’s Porter when the season rolls around. Wilmington Brewing Company, Midtown Wilmington - This homegrown favorite was started by Wilmington locals, John and Michelle Savard, and you can taste the love, sweat and tears put into each beer and the warm welcoming atmosphere. Don’t make it to Midtown often, you can find their beers on tap around town and local restaurants and bars…just ask bar tenders for Wilmington Brewing Company’s well-known favorite, Tropical Lightning! Fly Trap Brewery, North 4th Street Arts District, Wilmington – This is the “sister” brewery to Wilmington Brewing Company – John Savard’s sister, Emily, married to Mike Barlas, own Fly Trap Brewing and their goal is to create a community-center brewery with a focus on American and Belgium ales. Stop in and enjoy one of their well-balanced, full-flavored Pints for Purpose where a percentage of the proceeds are placed back in the community. Good Hops, Carolina Beach – At Good Hops, they combine tasty craft beers and a love for disc golf. Enjoy a beer before playing the course or celebrate after your round at the tap room. Either way, Good Hops is a win-win in our books. Wrightsville Beach Brewery, guess where?! Well it’s not quite on Wrightsville Beach, but it’s right on the way there! This hot spot has a slew of great beers, delish bites and weekly events for the community to get involved in – stop by on Thursdays for the Farmer’s Market and live music or swing in on Sundays for Yoga at the Brewery. The Sour Barn, Ogden Area – This is Broomtail’s sister location where they age their sour beers. If your taste buds are up for a pucker, try their Galloping Gose. While at the Sour Barn, learn a bit more about what make a beer a sour. Not really interested in the sour side of things, you can find Broomtail’s other craft beers on tap as well. For the full list of our towns breweries, click here! Connect with the Coastline NC Real Estate Team for great local insight. Lots of folks when beginning their home search are so excited to start perusing homes that they forget one crucial step -- secure the Coastline NC Real Estate Team as your buyer's agent for the Coastal Carolinas! #1 - It's FREE! This treat is courtesy of the sellers of a home. So, thank them and get yourself a buyer's agent! #2 - Protect your interest! A buyer's agent is there 100% for you! They will negotiate on your behalf, screen properties with a professional eye to help identify any issues, and ultimately protect your interest in the property. It's always great to have a professional in your corner. #3 - It's a time saver! In a world where time is valuable and every minute you save can be focused on doing the things you want like spending time with your family, enjoying the Coastal Carolina lifestyle or just treating yourself to some "me" time -- this is probably one of the BEST reasons to secure a buyer's agent! A buyer's agent has access to the Wilmington NC MLS which means they are up-to-date on the latest listings to hit the market. Plus, they have the real estate knowledge you need to negotiate offers on your behalf quicker -- getting you into the home that you want faster! 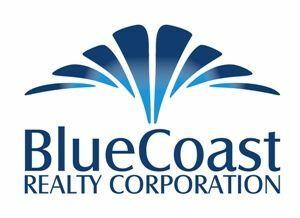 Connect with the Coastline NC Real Estate Team and interview us for the job as your buyer's agent! We're here for you. Probably the #1 reason we hear “Why folks choose Wilmington” is THE WATER. Wilmington, NC is perfectly nestled between the Cape Fear River and the Atlantic Ocean with the Intracoastal Waterway running right through it. There is truly water, water – everywhere! Boat, fish, swim, paddle, stroll the sandy beaches or enjoy fresh seafood. The world is your oyster when you choose Wilmington, NC! School is an important decision for most people when choosing a new home or area to relocate. Whether you have a kindergartner, high school student or your precious one is college bound, the schools of Wilmington, NC stack up! Check out GreatSchools.org to find the best rated schools in Wilmington. If you are considering colleges, Wilmington has four great education choices: The University of North Carolina at Wilmington, Cape Fear Community College, Miller-Motte Community College and College of Wilmington. How’s the weather?! Well if you’re in Wilmington, NC, it’s splendid! Wilmington has a mild climate year-round. It’s perfect weather to enjoy outdoor activities all year long – golfing, running, boating and MORE! If you’re a “foodie” or just enjoy good food, Wilmington, NC is for you! Wilmington has been deemed by USA Today to have the “Best Al Fresco Dining.” The Port City also received a recent visit from Guy Fieri for his Diners, Drive-Ins and Dives show. What can we say?! Wilmington knows good food! Wilmington is surrounded by great golf! Try playing 45 holes of championship golf designed by Pete Dye and Jack Nicklaus at the Country Club of Landfall. Make your way to northern Wilmington and hit the links at Porter’s Neck Country Club – it’s walker-friendly too! While you’re up that way, make friends with a member at the Eagle Point Golf Club – you’ll want to play this course if you can find your ticket on it! Eagle Point was home to the 2017 Wells Fargo Championship and is in pristine playing conditions. In addition to these courses, Wilmington, NC has courses scattered all over the region welcoming all skill levels of play! Oh, oh – the shopping!! Wilmington has the best boutique shopping around! If you’re near Wrightsville Beach, hit up the shops on the Island…then, head over to Lumina Station or The Forum at Landfall to finish up. If you’re closer to downtown, walk the shops on Front, Market and Princess Streets. Don’t worry Wilmington has all your name-brand stores as well! You can find them at Independence Mall or Mayfaire Town Center. See latest properties that have hit the market, have gone under contract, or have solded in the past 30 days.